The pattern lock in the Android phones is provided so that the devices stay safe and still be accessible easily by the owner. But sometimes, people get locked out of their device if the lock is forgotten or someone else's mishap. And it is the most frustrating situation for everyone. People basically rely on phones for every task. And if you forgot the pattern of your device, then it is a matter of worry. So, if you are also putting up queries like "I forgot my android pattern" on the internet then you can stop looking. Here in this article, we are going to tell the people various methods that they can try out to unlock their device. Here is the list of possible methods when people forgot the unlock pattern of their device. You can take a look at each method and see which one will work for you in the best possible way. The first and most reliable method is using Tenorshare Android Password Reset Tool. It can help the users to understand how to unlock android phone pattern lock if forgotten. The users can easily unlock the device pattern lock and another screen lock too. It is a smart and sophisticated tool which can help the users to bypass all kind of security lock in Android phones. Here is the step-by-step guide you need to follow to learn how to unlock phone pattern with Tenorshare 4uKey. Step 1 Download and install the software and launch it when it is ready. Connect your phone with the device and it will be automatically detected by the tool. Step 2 Tap on the Remove button on the screen to initiate the pattern removal process. The software will prepare the data environment and send the package to the phone. As you try to unlock the android forgot pattern with Tenorshare 4uKey, you will see how easy it is. 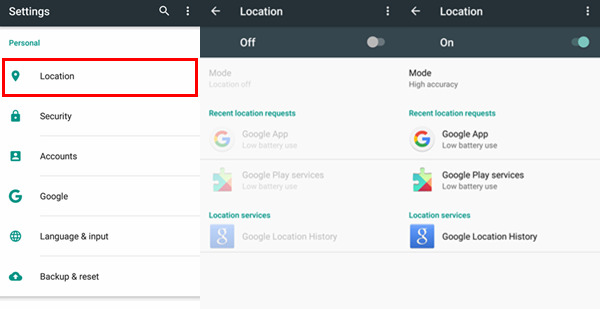 You can further restore the device data from Google backup. Here, we have listed down the advantages of using this software over any other method. When you forgot pattern lock, using the Android Device Manager is like a universal option. This method works for all android devices and can remotely erase the data and settings from the phone. The reset will bypass the pattern lock and you'll have access to the device. Step 1 Visit the official Find My Device page and log in with your Google credentials. Step 2 As you enter the interface, you will see the devices linked to your Google account and their location on the map. Step 3 Tap on the Erase option on the left side panel and you will be prompted to enter your password to erase the device. This will reset the device and the pattern lock will also be removed from the phone. The service can be used for all devices. It erases the entire data and settings from the device. It requires internet connection and active phone. It works for Android 4.0 and above. If you prefer knowing how to unlock android phone pattern lock without Gmail ID, then you can use the Samsung Find My Mobile service. But this service is only available for the Samsung device users. Step 1 Visit the official website for Samsung Find My Mobile service. 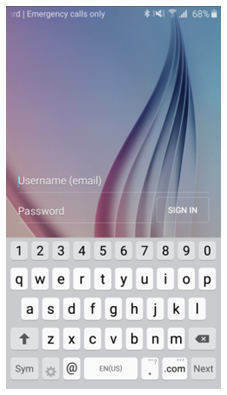 You will have to log in with the Samsung account to enter the interface. Step 2 After you log in, you will see the Lock My Screen option on the left side panel. Tap on the option and you can set the new password in the right side panel. Enter the password and click on the Lock button. This will reset the device lock and you can enter the newly set password to unlock your phone. This method is very helpful for Samsung users. It only takes a few minutes to unlock the device. This service is only available for Samsung users. The "Android pattern unlock" feature also comes with an inbuilt forgot pattern function. This allows the users to simply unlock the device by using their Google ID and password. Step 1 When you've entered the wrong passcode for 5 times, the "forgot pattern" option will appear on the screen. Click on it and you will be navigated to another screen to choose whether you want to use the security question or Google account to unlock the device. Step 2 Choose the Google account option and enter the details. You will be prompted to reset the pattern and as you set the new lock, you will easily get access to your device. It won't work if the device doesn't have an active internet connection. This way of unlocking Android pattern only works for phones running Android 4.4 or lower. Another method that you can try if you forgot pattern lock of android device is factory reset. This will entirely restore the device to its original condition when you bought it. And you will lose the data stored on the device. Step 1 Enter the Recovery mode on your phone. You can use the volume up and down button to navigate through the option and power button to select the option. Step 2 Choose the Factory Reset option from the screen to wipe away the data from the device. Once the reset is finished, you can reboot your device and there will be no lock pattern on the screen. The process is very effective to remove the pattern lock. It is complicated and time-consuming. Getting to the boot loader menu is quite complicated. 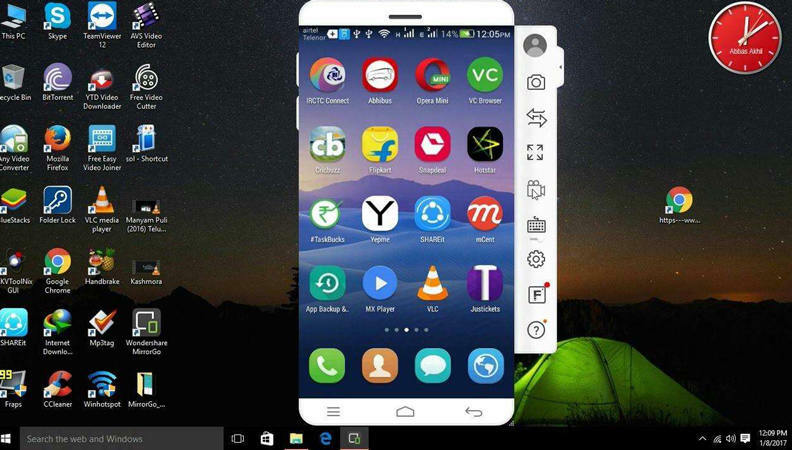 If you forgot screen lock pattern of your phone, then don't panic and try any of the above-mentioned solutions. All of these methods are very useful. But if you find the process complicated, then Tenroshare 4uKey - Android Pattern Lock Unlocker is always at your rescue. It is a simple, safe, and reliable method to unlock your device as quickly as possible.